The summer season of Arts Award at MK Gallery has officially begun! This month, children signed up to start their Discover and Explore Awards and we began our journey at July’s Sharing Session with an exploration of the many different art forms that Milton Keynes has to offer. Fashion and design in the centre:mk, public sculptures all over the city (but of course we were most interested in the concrete cows! ), music at the Stables, drama and ballet at Milton Keynes Theatre, graffiti on the underpasses, architecture in the buildings around us and drawing and painting right here at the Gallery. We then began by drawing and collaging our art forms onto a giant map of Milton Keynes. This got everybody’s minds thinking about what art activities they were going to take part in next for their Awards! Many of the group have been coming to our Saturday Studio sessions to try out different art activities, which this month are based on future visions of Milton Keynes. Last Saturday was all about recreating iconic buildings from around the city using our imaginations and paint. We had a shopping centre that was turned into a magical sweet shop, the Point was reinvented as a funky modern art gallery and polka dot clouds that floated in the sky while futuristic electric cars moved about the streets below. What a fantastic start to the season! 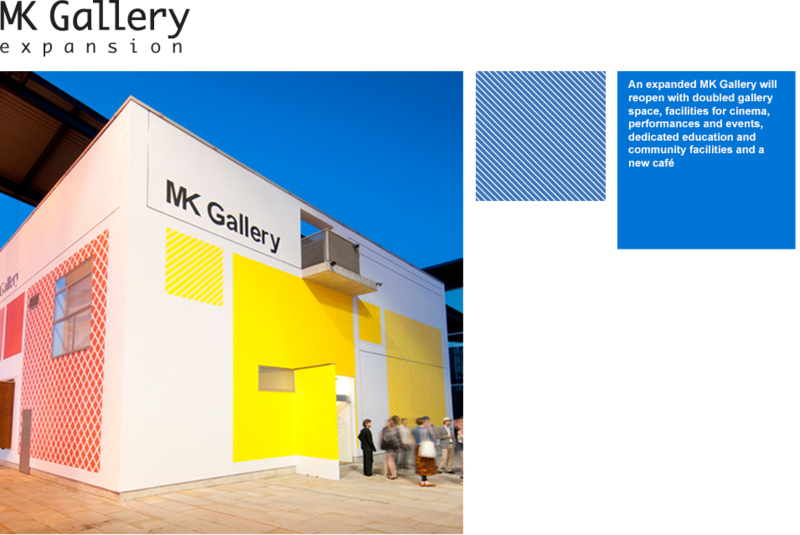 You can find out more about Arts Award at MK Gallery by visiting our website here.